I’ve been getting a lot of questions recently about becoming a contributor to HuffPo, so I decided to write this guide that I hope will help others. First, I am new to HuffPo. I can only write about my personal experience and what I have gleaned from reading about the experiences of others, so your results may vary. Think I got on the platform because of my superior writing skills and riveting content? That’s what my mother thinks, but the honest answer is “nope.” I got on the new platform during one of its open registration periods. I was surfing the web one day, trying to figure out how to get a wider audience for my writing when I stumbled across the HuffPo contributor platform during one of its open registration periods. I was able to create an author page and start posting content. Voila! I am a Huffington Post contributor! Yay me! So the fact that I am now a “Contributor” has nothing to do with my writing and is solely attributable to a combination of timing and skillful Googling. Please don’t tell my mother. 3) Use the Huffington Post pitch form — aka send your writing to a black hole. Huffington Post has a pitch form that allows you to allegedly send blog ideas to the editors. I’m not sure I believe the hype. Before I got on to the platform I used this form several times. Never heard a thing back. I’ve come across random instances where the contact form supposedly worked, but those stories are rare. Really rare. It can’t hurt to try the form, but my sense is that this is not a particularly effective way to get on to the platform. When I say “stalk,” I do not mean it in a way that is likely to land you on an episode of Dateline. I mean identify an editor who works on a section your writing would fit, and make contact. Be polite, but be persistent. Back in the halcyon days when Arianna was editor in chief, there were countless stories of people emailing a story directly to her which she would pass on to her minions so that a blogging account could be set up for the author. With Arianna gone, this obviously won’t work now (although if you’re dying to write for Thrive, try sending her an email). The current HuffPo editor in chief is very, very new, so I don’t know if this tactic will be effective with her. (Based on the little I know about her, I think not.) So your task will be to identify an editor and then send him/her an email or make contact on Facebook or Twitter. I’m not going to give you explicit instructions about how to locate and stalk an editor because I suspect that would make most of them not very happy with me. But there is a masthead, and a little Googling will probably get you to a name and email address. (Note: the masthead does not include every HuffPo editor, so get creative to find the ones who are not listed. Think of it as an episode of CSI Cyber — only without the C. Also without the S. But with the I.) Also, the email format is largely consistent throughout the organization, so it’s not hard to figure out an email address if you have a name. Again, there is no guarantee that this will work. 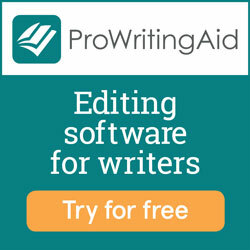 I tried it with several different editors a number of times before I won the platform lottery. I never received a response. I like to think that was because they were too busy, but they probably just thought my writing was crap. If you know someone who has a working relationship with a HuffPo editor, ask that person to recommend you to the editor. Join FB writing groups. I made a useful connection with a HuffPo editor who was a member of a FB group I joined. (More on that later.) I recently tried to help other writers in a different FB group get HuffPo accounts through another HuffPo editor I stalked. (Still waiting on the results of that effort, but I did get a story for another day about how my well-intentioned attempt to help some other writers proved the adage that every good deed will be pissed on by someone. For the record, the pisser was not a HuffPo editor/employee.) I’m sure there are countless other ways to make contact with an editor there in a meaningful non-scary-stalkerish way. Good luck! It depends whether you’re on the new platform or the legacy platform. This is the area where the advantage of the legacy platform is most readily apparent.